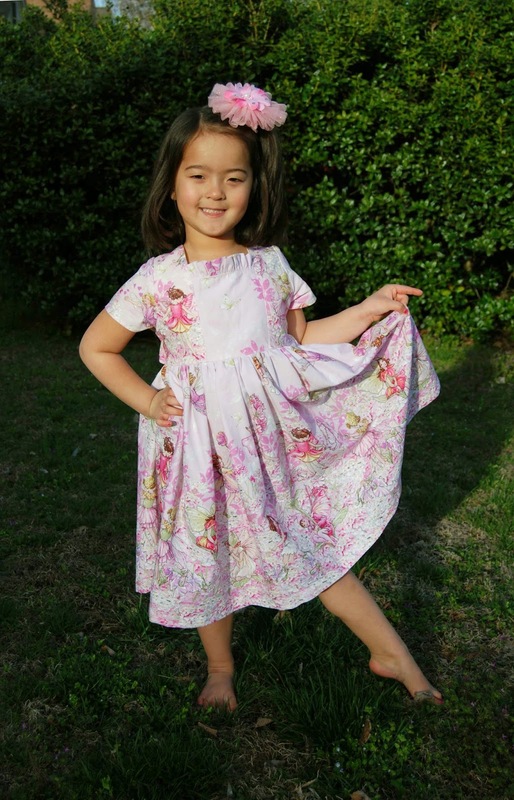 Back in November, I had the opportunity to test Made for Mermaids' Sophie Dress PDF sewing pattern. 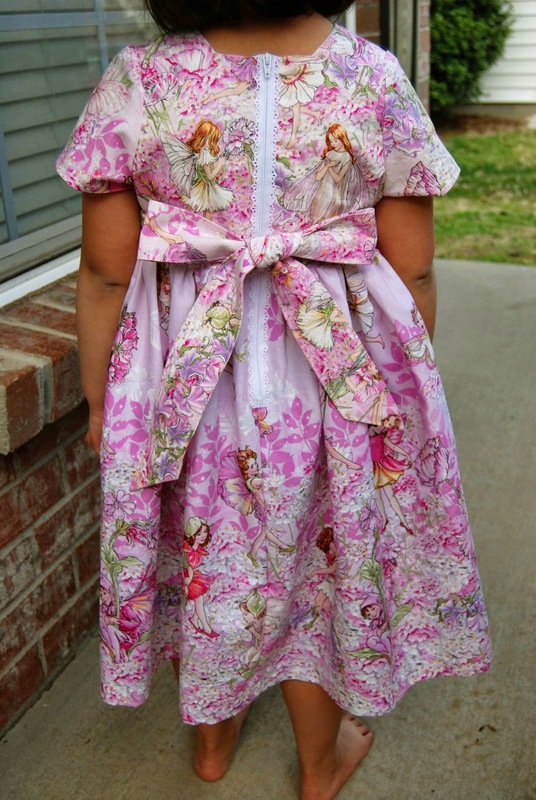 Then, in December, Made for Mermaids had a sew-along that I participated in, using the Sophie Dress. 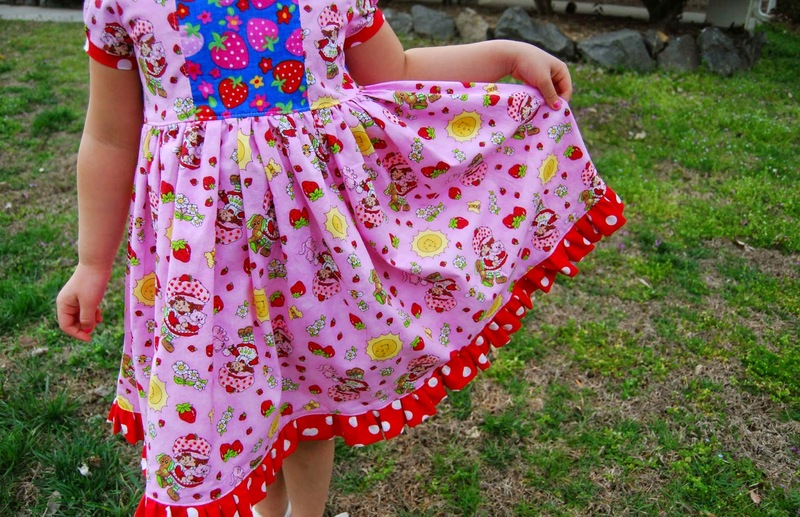 Since then, I've made at least half a dozen Sophie Dress- including a Dolly Sophie Dress for Lil' Miss' Samantha Doll! Well, the talent and brains behind Made for Mermaids, Megan, is at it again with an add-on pack to the already fabulous Sophie Dress! 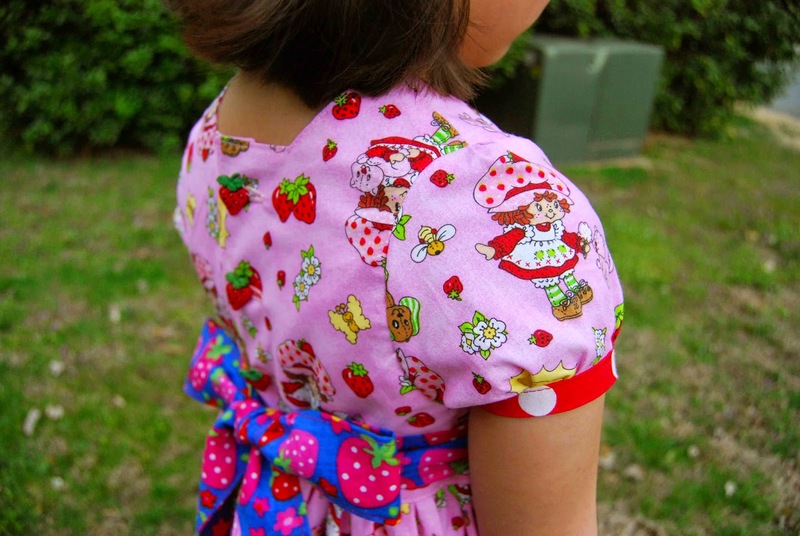 -Directions/pattern pieces to do Short sleeves, Cuff Sleeves Cap Sleeves and Flutter Sleeves. 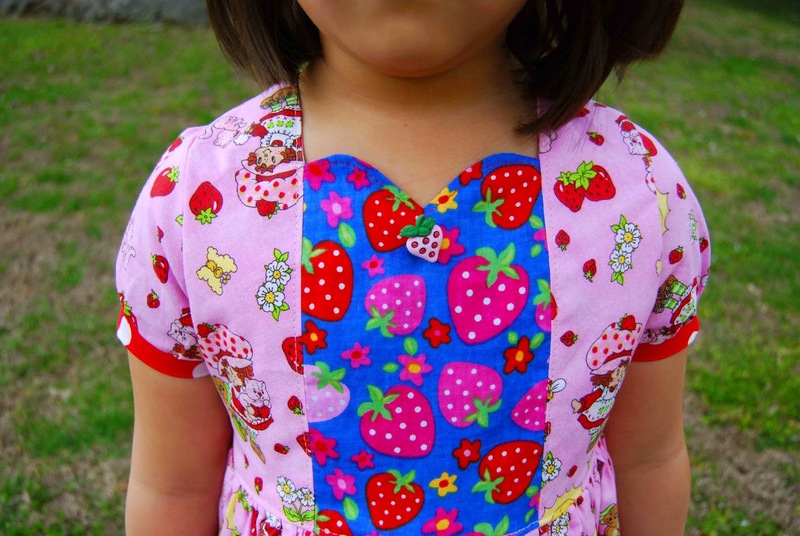 -Directions/pattern pieces to do a Sweetheart neckline, a ruffle bodice. 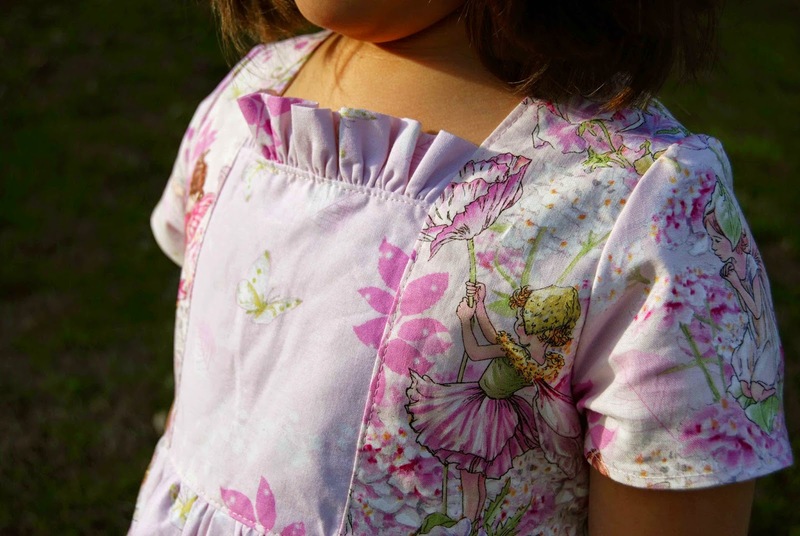 -Directions and measurements to do ruffle hem (on the skirt). 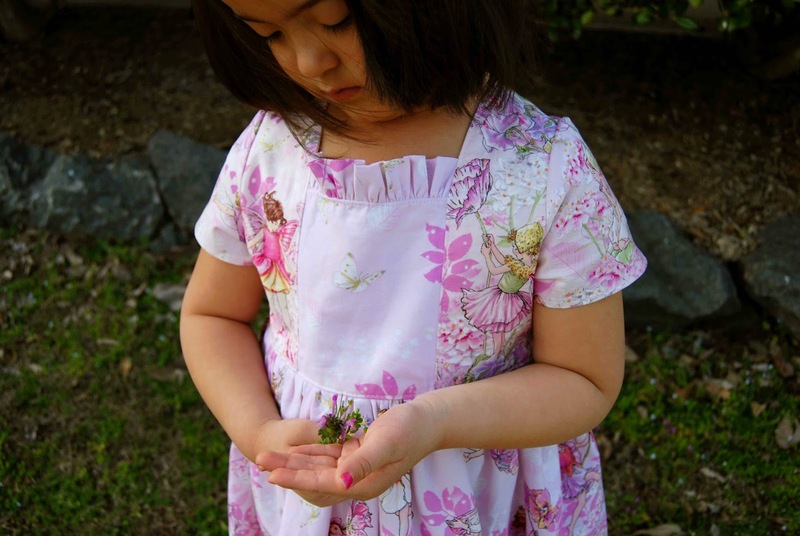 -Directions and measurements to make the Sophie Dress into a tunic. -Pattern pieces are no-trim (which means there is less cutting- yay!). The Sophie Dress Add-On is very versatile! I had lots of fun sewing up two different versions for this quick test. Both dresses are size five. Sophie Dress Add-On Dress 1, features a ruffle bodice, short sleeves and exposed zipper back. Sophie Dress Add-On Dress 2, features Sweetheart neckline, Cuff Short Sleeves, Ruffle Skirt hem and button back. Once again, the Sophie Dress Add-On pattern is clear and easy to read. There are lots of pictures included in the tutorial that aid in the sewers overall understanding. 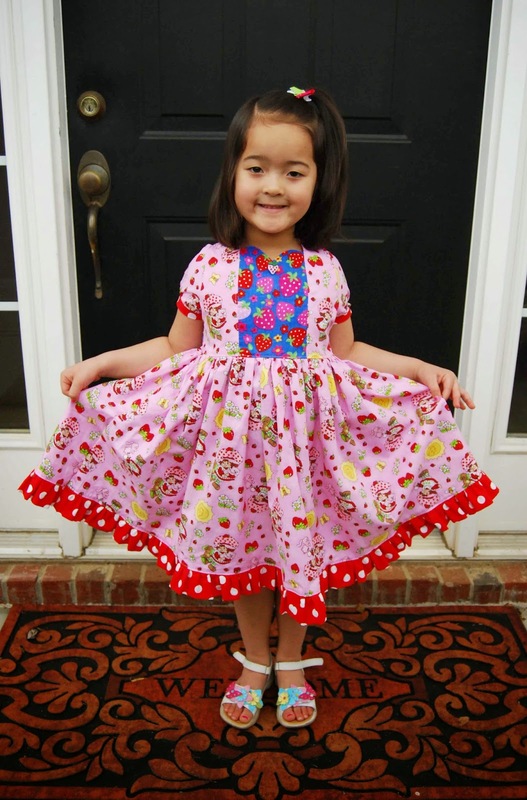 The Sophie Dress Add-On pattern is meant to be used in conjunction with the original Sophie Dress pattern. Therefore, you must have the original pattern in order to use the Add-On. I love when an already established pattern can become "new" again! 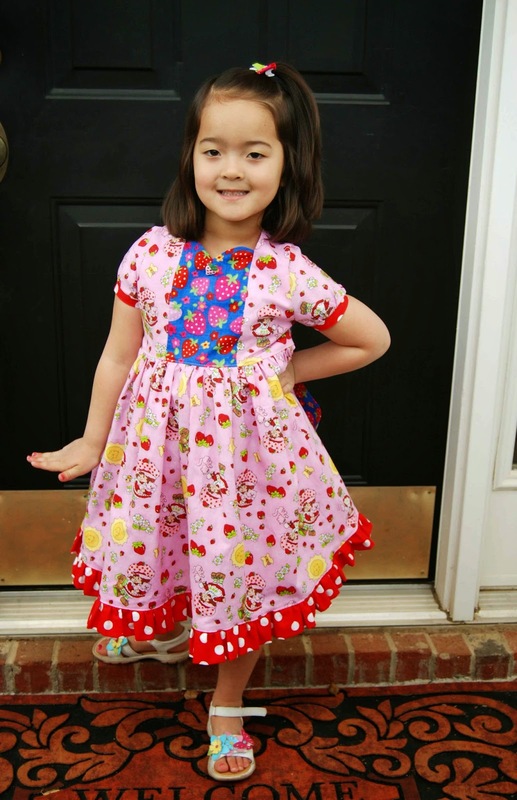 That's just what happens with the new Sophie Dress Add-On PDF sewing pattern! 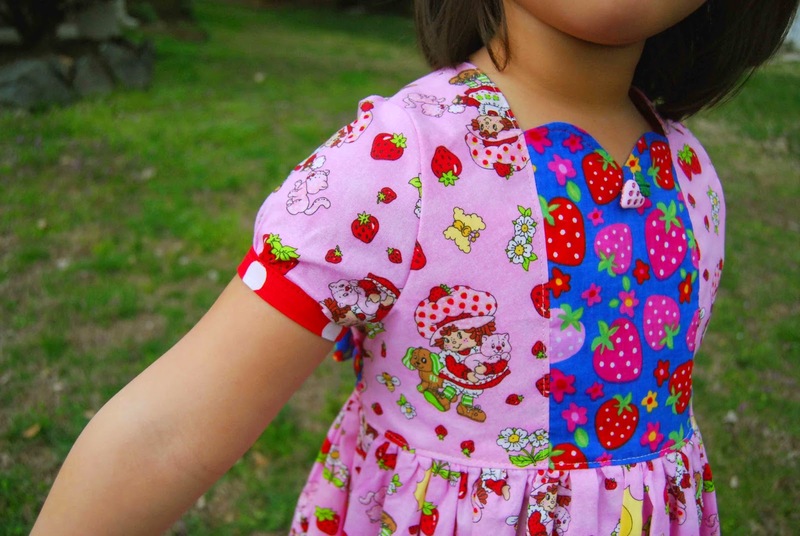 While I've sewn up the original Sophie Dress pattern lots of times, the Add-On freshens it up and opens up a world of possibilities for more, different, fun dresses! I can't wait to try my hand at the flutter sleeve!